The Safety Car guarantees safety out on the racetrack and is also there to launch the rolling restart. An important 'must-have' car for exciting race situations! The 1:43 scale Carrera GO!!! 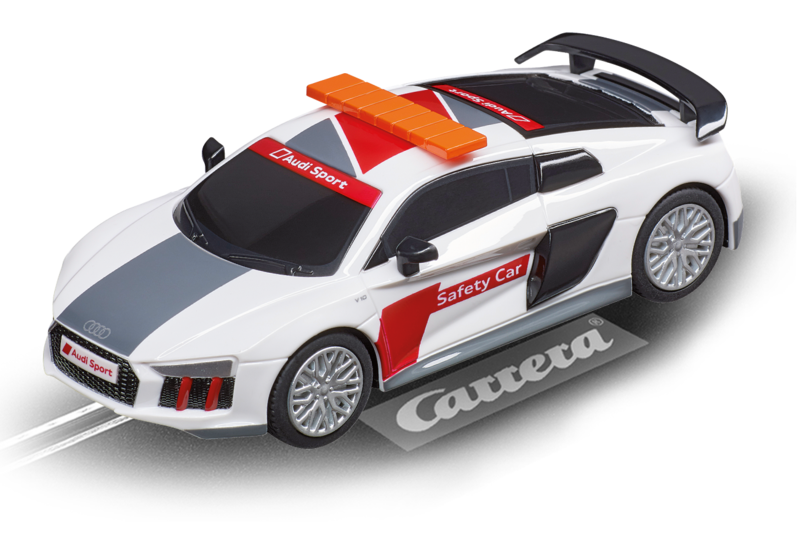 Audi R8 V10 Plus "Safety Car" is a thrilling, faithfully detailed reproduction. This Carrera car is perfect for introducing children of 6 years and upwards to the fascinating Carrera Racing World!